Benelli has officially launched the 2016 TNT 600i with switchable ABS in India priced at ₹ 5.73 lakh (ex-showroom, Delhi). The naked street-fighter first equipped with ABS first made its public appearance at the 2016 Auto Expo earlier this year and the upgrade comes in-line with the company's announcement. The ABS equipped version is priced at a ₹ 40,000 premium compared to the outgoing version and dealerships across the country are already accepting bookings for the model at a token amount of ₹ 40,000-50,000. With the addition of ABS,Benelli will phase out the non-ABS version of the TNT 600i that is currently on sale. 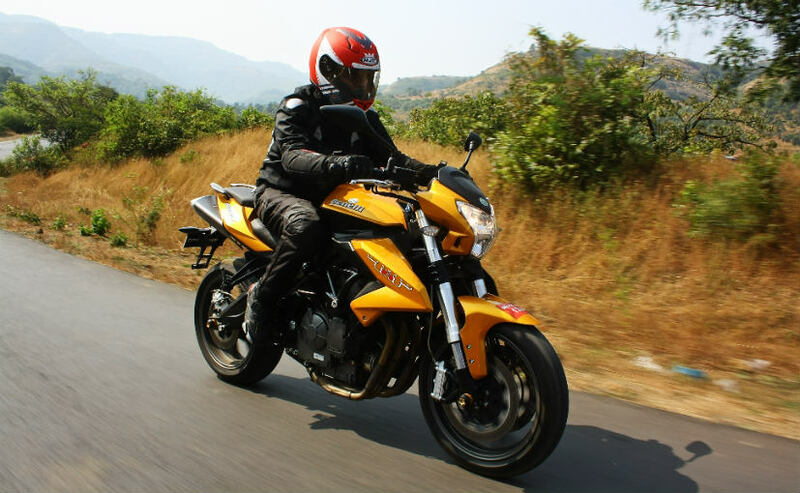 The most affordable four-cylinder motorcycle in the country, the Benelli TNT 600i uses a 600cc liquid-cooled engine equipped with fuel-injection that churns out 85.07bhp of power at 11,500rpm and peak torque of 54.6Nm at 10,500rpm. The motor comes paired to a 6-speed gearbox. For the 2016 model year, the Benelli TNT 600i ABS gets no visual changes. The street-fighter is built on a semi-Trellis tubular steel frame with a cast aluminium chassis at the rear. The Italian offering differentiates itself with extended tank shrouds at the sides, bulbous headlamp cluster and the under seat exhausts. Suspension duties are performed by inverted telescopic forks up front, while the rear gets a monoshock setup. Talking about braking performance, the Benelli TNT 600i uses 320mm dual discs up front and a single 260mm single disc brake at the rear. With ABS now on-board, riders will find hard braking more confident, especially under emergency situations. Benelli had also showcased the ABS equipped TNT 600 GT at the expo this year and the tourer is expected to get the safety feature very soon. Benelli made its foray into the Indian market a little over a year ago and is one of the fastest growing premium motorcycle brands in the country. At the 2016 Auto Expo this February, the company announced that it will be introducing four new products later this year, most awaited of which are the Tornado 300 full-faired bike and the TRK 502 adventure tourer. The company operates out of 16 dealerships across India, which are expected to reach 20 by the end of the 2016 calendar year.